What do pink bakery boxes, bacon and voodoo have in common? One tiny (but wildly successful) little doughnut shop in Portland, Oregon. 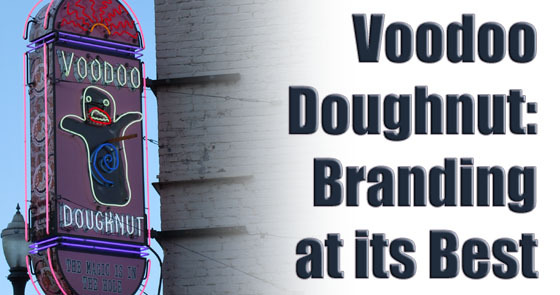 I first heard of Voodoo Doughnut while doing Internet research for a recent trip to Portland. Every “Top 10 Things to do in Portland” article I read listed the shop, which seemed pretty strange. I hadn’t realized that Portland was famous for doughnuts. Micro-brewed beer, bicycles and rain, yes. Doughnuts . . well, ok.